Summer is a great time to plan vacations, socialize with friends, and, most of all, go outside. Days are prolonged and hot. And, as a result, electricity and utility bills increase. The following are tips to save money this summer. A/C units can drive up electricity bills significantly. Fans are an easy way to counteract that. If you must use an A/C, have a fan on at the same time to spread the cool air quickly. Then turn off the A/C unit when the house is cool. Even if you leave the fan on at this point, you’ll be using much less electricity with the A/C off. When you are using electricity—by running your A/C or dishwasher—think about what time of day it is. At peak use times, the cost of electricity is more than at low use times. Try running that dishwasher as you sleep, for instance, that way it’s not competing electricity at peak use time. It’s a nice day. You’re hungry. Don’t turn on the oven. Fire up the grill! Save on gas or electricity by grilling during the summer. But you don’t have to fire up anything, really. When you’re hungry, eat in-season fruits or vegetables. Just fix a salad and enjoy! Most of all, enjoy the summer. Your smart television uses electricity even when it’s off if it’s plugged in. So does your toaster, coffee maker, and iPhone when it has 100% battery! Get a few power strips and connect all irregular use items to it. That way you can switch them all off at once when they’re not in use. Save money this summer by taking advantage of the season and taking steps to preserve electricity use. 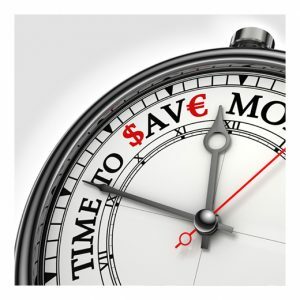 There are many more ways to save money. Let us know how you cut back this summer by telling us on Facebook! The post Save on Summer Bills appeared first on Apartments For Us.